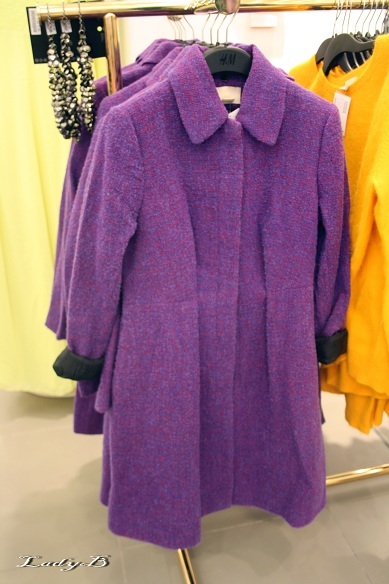 Since it got a bit chilly the last few weeks, the hunt for a coat have started..
During school days the must have navy blue coat for school and a black or beige coat for going out.. 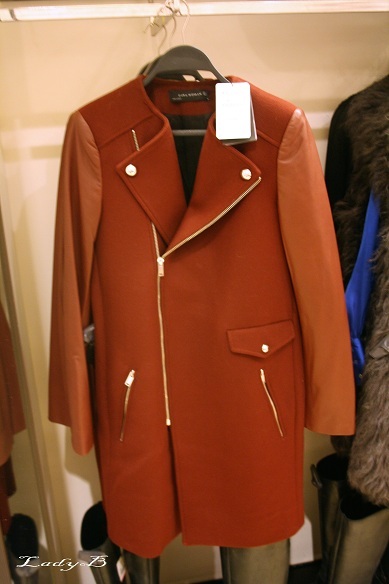 I usually buy 2 coats each winter no more, since our winter is somewhat short.. But I try to steer away from the typical colours as navy blue, black or beige.. 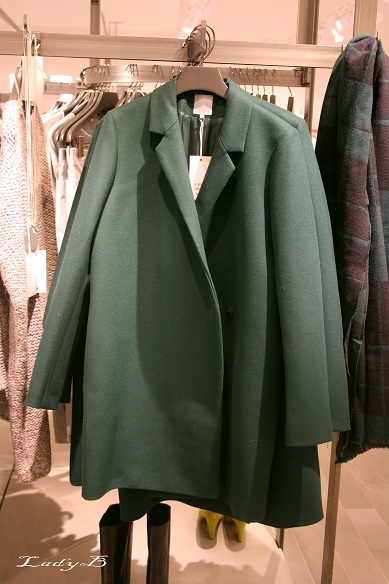 Bottle green coat, which is actually an oversized blazer with an internal button fastening but very in right now! 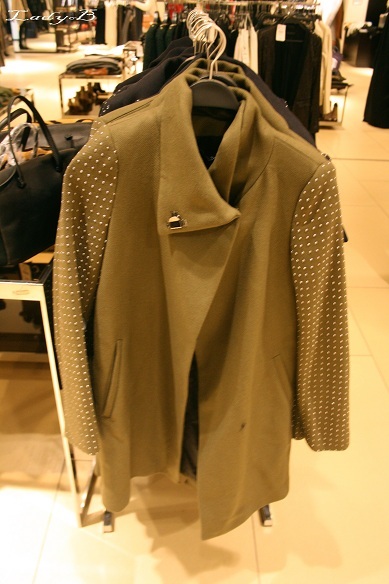 Zara biker coat if I may say, longer with leather sleeves..
Another coat from Zara in olive green with a tiny pin like ornaments scattered all over the sleeves.. 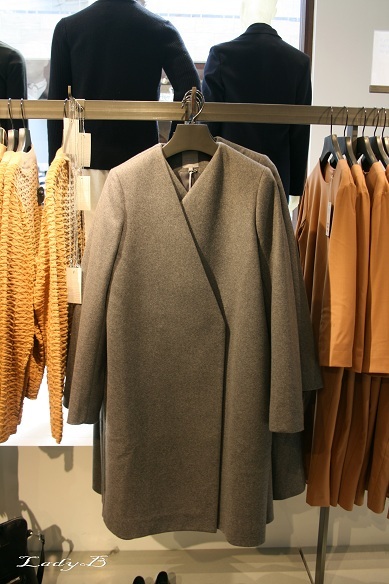 Finally it might not be strictly a coat but I thought it was worth including, spotted this cape at Massimo Dutti the wool looks like it had been dip dyed and has a dedicated space for arms..
Not too heavy and perfect for our weather !